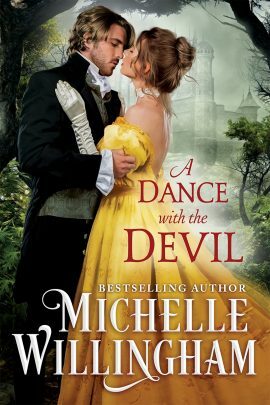 In March, “A Dance with the Devil” released. This was a fun project I completed with Kate Pearce and Deb Marlowe. We all set our Regency stories at Castle Keyvnor, and our characters were attending the will reading of the late Lord Banfield. Add in a mischievous ghost, and I think you’ll enjoy the Gothic love story between a poor vicar’s daughter and a handsome rake. This July, I am launching a brand new medieval series with Harlequin stories, Warriors of the Night. So far, there are three books planned, but I may add a fourth! The first book, Forbidden Night with the Warrior is about a dying lord who desperately needs an heir…and offers one wicked night with his wife to the man she loved and lost. It was inspired by “Indecent Proposal,” and I hope you’ll enjoy this second chance love story. It will be followed by Forbidden Night with the Highlander, which is written but will likely come out in late 2017. The third book, Forbidden Night with the Prince will be a 2018 release. I’ve also written the sequel to Good Earls Don’t Lie, What the Earl Needs Now. It was originally meant to be out in early summer, but it will likely be late summer now. It needed some heavy revisions, and I’m in the midst of finishing those now. So far, 2017 should have lots of new stories for you! If you haven’t yet received your FREE copy of “A Wish to Build a Dream On,” just sign up for my newsletter below!